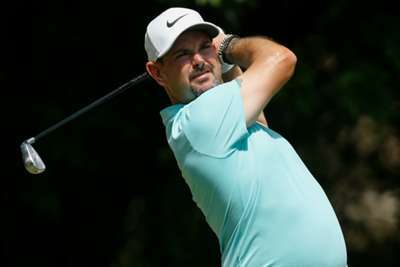 Rory Sabbatini overcame a back problem to set the pace with an opening-round 64 at the RBC Heritage, while world number one Dustin Johnson ended the day five shots off the lead. Sabbatini's status in the field was uncertain, having tweaked his back earlier in the week, but the South African went from questionable to Heritage leader by two strokes on Thursday. The six-time PGA Tour champion – without a win since the 2011 Honda Classic – did not drop a shot, holing seven birdies for his lowest round of the season. "I was just happy to be able to play today," said Sabbatini, who tops the leaderboard at seven under through 18 holes. "I was just trying to simplify everything and wasn't trying to hit it hard, just put it in the fairway, find the greens." Rory Sabbatini leads the @RBC_Heritage after carding his lowest round of the season (64). It is a four-way tie for second at five under, with American quartet John Huh, Billy Horschel, 2014 champion Matt Kuchar and Chesson Hadley two shots behind Sabbatini heading into Friday's second round. Australian Cameron Smith, who finished tied for fifth at the Masters, posted a three-under-par 68 to be level alongside the likes of reigning PGA Tour Rookie of the Year Xander Schauffele and Pater Malnati. A shot further back is golf's top-ranked golfer, Johnson, following his first-round 69 in Hilton Head Island, South Carolina. Johnson – who was tied for 10th behind Masters winner Patrick Reed at Augusta last week – had six birdies and four bogeys on a mixed day. Defending champion Wesley Bryan is also two under after the opening round, along with Ian Poulter, Martin Kaymer and Kevin Kisner.